Home Fashion & Beauty What’s so Great About Vegan Beauty Products? What’s so Great About Vegan Beauty Products? So, what are vegan products? Why should you choose to switch to vegan products? According to a statistical report by NPD Group published in March 2018, the sale of vegan beauty products in the United Kingdom has grown by a whopping 38% in the last 12 months! Therefore, it would help you to stay informed on a revolution that started as a decision to not let “eating meat” be a human-nature or a survival-essential. Let us help you navigate through this practice, which started as a movement and is now being widely made a part of many people’s daily routine. Started as a movement to minimize and stop the consumption of animal-derived products, veganism has spread to the fashion and beauty industry as well. Vegan beauty products are products that do not contain any animal or animal-derived ingredients and have not been tested on animals. But since the cruelty-free part is not regulated, products tested on animals but not sourced from animals are also considered vegan. Hence a cruelty-free product does not necessarily mean it is vegan and vice versa. Vegan products do not comprise of any animal or animal-derived ingredients and therefore you are helping to promote a healthier lifestyle and helping animals live their lives without any fear and without enduring any cruelty in slaughterhouses. The packaging materials of vegan products are also recycled and eco-friendly. So vegan products not only save animals, but they also contribute to a healthier environment. Vegan products contain considerably lesser ingredients than non-vegan products, which is why they are not harsh on the hair and skin and are especially beneficial for people with sensitive and troublesome skin. Vegan beauty products, contrary to popular belief, also have long-lasting effects on the skin, as most began products are natural. They help in reducing skin issues, such as premature aging signs on the face, hyperpigmentation, and scars, as they do not contain harsh chemicals. 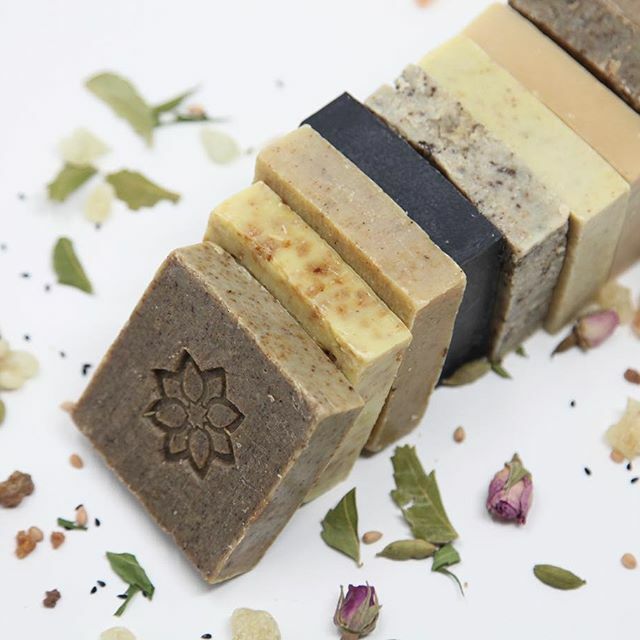 This is not necessarily true, you can easily find organic vegan beauty products, such as Chamomile and Almond Soap or Ajwa Date and Zamzam Soap available online at a reasonable price. Gone are those days when vegan products lacked pigments and durability. Vegan beauty brands have come a long way with technology, and now you can easily find a vegan product in every possible color shade, type, and fragrance. You need to do more research to get your hands on a high-quality range of vegan products. 2018 saw an increasing number of brands that have started to manufacture vegan beauty products, however, be aware of counterfeiters selling animal-based products under the vegan label. Shop for vegan products from credible online sources and order sample packs to test them out or gift a sample pack of these beautiful products to pass on the message of going vegan. Order a free sample today from Azara Beautique!